Lafayette Fire Company is a modern, active, volunteer fire company that has been providing a high level of service to the community since 1943. It is a fire company that is rich in pride, tradition and brotherhood. Located two miles east of the City of Lancaster, Lafayette Fire Company is one of four fire companies in East Lampeter Township. Lafayette is known by the values upon which the company was built. These include; loyalty to the fire company and community, faith in the job that firefighters perform and the values they possess, and charity, which symbolizes that volunteers provide their services without compensation. 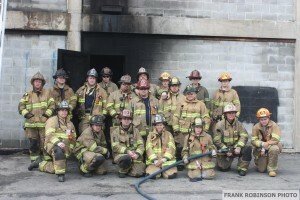 For the men and women of Lafayette Fire Company, brotherhood unites the team. As a team, firefighters support each other at all times. The fire station is one of the few places in the world where people from all walks of life, as well as those representing various races, genders, religions, sexual orientations and backgrounds, can come together and treat each other with respect and dignity. The bond strengthens the team and makes it possible for the team to perform its responsibilities amicably, professionally and effectively. 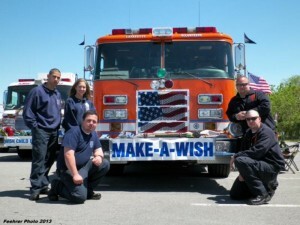 Lafayette Fire Company provides numerous opportunities for fun and camaraderie. Community events such as fundraising BBQ and Santa Runs attracts a large community following. In addition, Lafayette Fire Company participates in fire prevention demonstrations, fire house tours and community days. These are great opportunities for volunteers to interact with each other and the community at large.